I don’t recall buying this film for my son. It was in a 3-pack. This GO commuter train is closing doors and about ready to depart. Meanwhile, I’m outside, standing somewhat dangerously close (not quite on the warning mat, but leaning a bit), playing with depth of field of the M50/1.7. I’m beginning to suspect that Lolo (“grandfather” in Filipino) may have purchased the film for my son when my son was looking for something to shoot during his classes at school. So, with the package sitting there unopened and after some examining, the next thought that came to my mind was, “Hey, why not?” I cracked the pack open and loaded one roll into Penny. 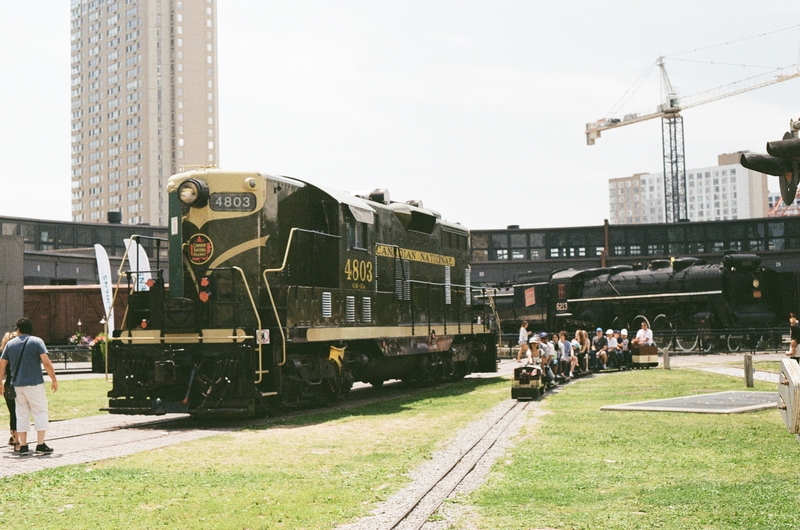 Let’s just say after playing with Kodak’s Ektar, I have gotten a bit spoiled. I guess that I had expected a little more pop from the sky in a few of the shots I fired. To be fair, this is 200 speed film, I had muddy grey, overcast skies the week I was playing with this film (IMO, aside from indoor shooting, conditions were perfect for this film!) sprinkled with one afternoon of rich blue, but overcast skies. Regardless, I shot through the roll and promptly sent the roll to the great folks at DC to process and scan. 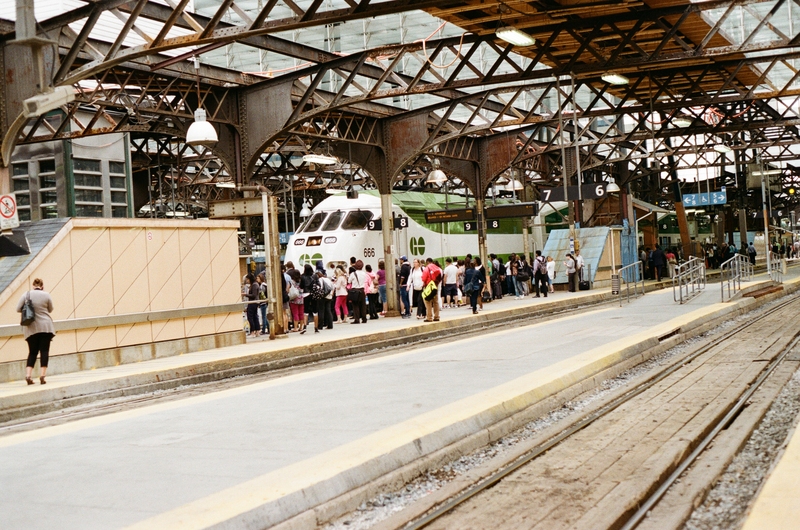 Examining the results, my shots on the platforms in Union Station appear to be exposed well and colours looked to be pretty accurate. 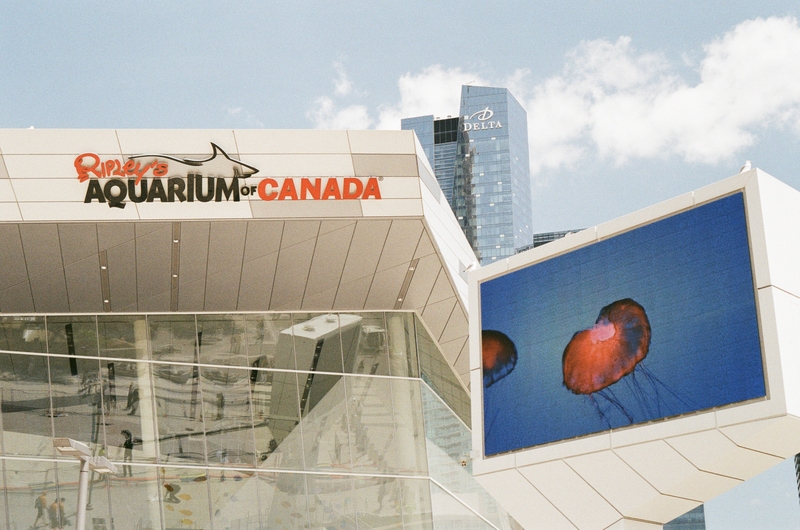 The red in logo of the Ripley’s Aquarium photo, above, seemed a bit orange in my eyes, but I’m thinking, that’s just me. 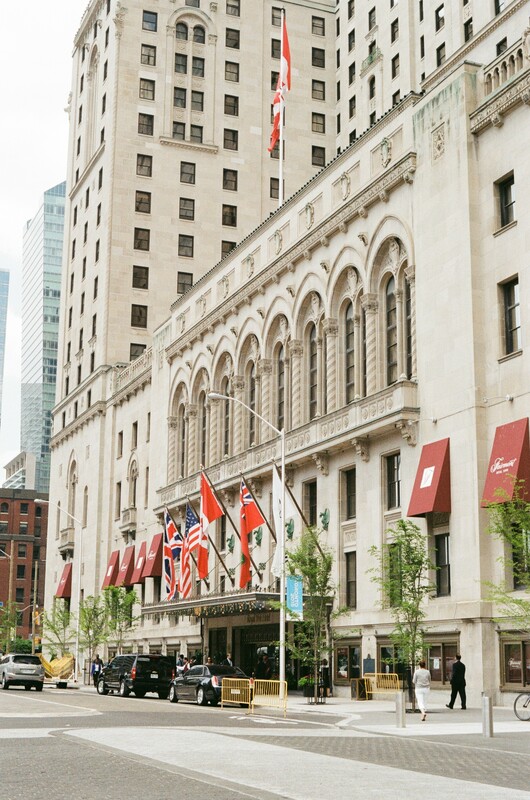 My shot of the Royal York Hotel, below, seemed a bit over exposed in my eyes but it is not – the details in the concrete façade are there. Also, the colors of the flags seem correctly colored and are exposed properly. Union Station seems to look pretty good, here in this shot below, as well. 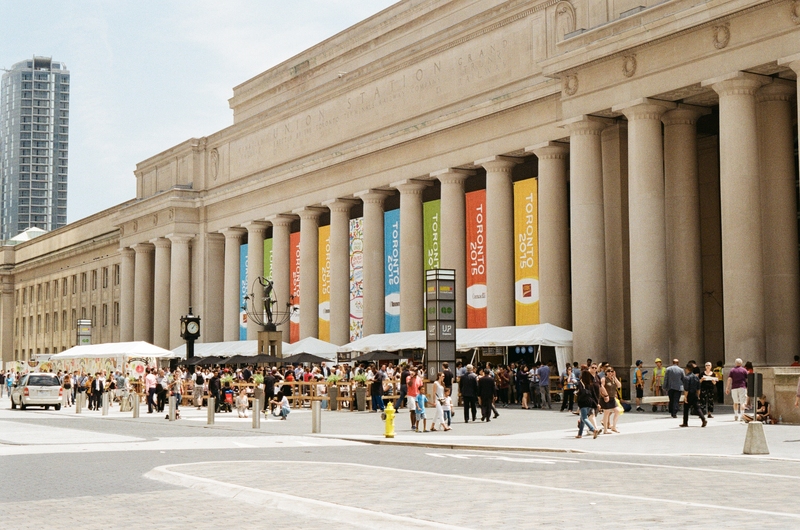 The tents in front of the station are temporarily setup by various restaurants and eateries for the Toronto Pan Am Games. The banners are nice and bright, not to mention the yellow fire hydrant in the foreground that sticks out like a sore thumb. Transitions from highlights to shadows appear pretty smooth, and the sky was just beginning to clear up here so you can see some blue through the hazy/wispy clouds. 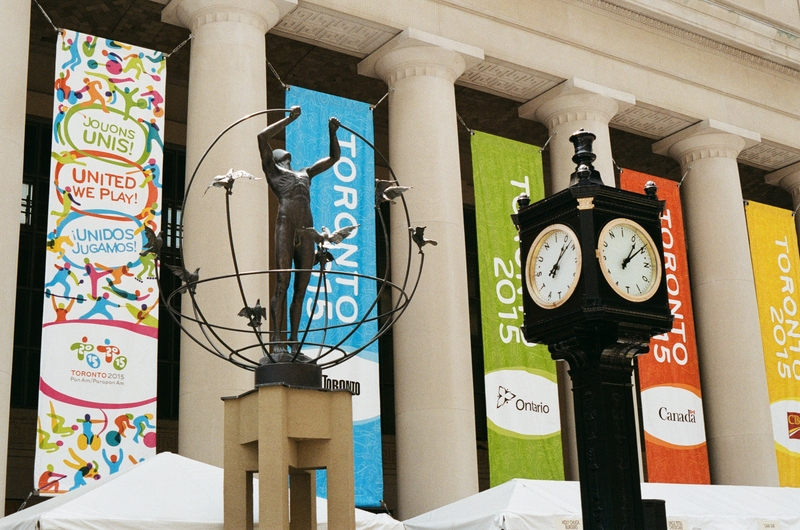 The Monument to Multiculturalism, below, is in an ideal spot for the Pan Am Games, being right in front of Union Station to greet all visitors to Toronto. It is one of five that exist in the world (the others are standing in Sarajevo, Bosnia and Herzegovina; Chang Chun, China; East London, South Africa; and Sydney, Australia.) To its right is a clock. I don’t remember when this clock was repainted and refaced but I remembered it was a dark shade of green and the numbers in the clock face were Roman numerals. The film is ASA 200, which I mentioned earlier I consider to be an all-around film. This being said, I “should” be able to use this for well-lit indoor conditions. So, I decided to bring the film into a parking lot to try out. The shot below is a bit extreme for indoor, being a lot more dim for the film that I would have liked, but the Gold performed as I expected. I wish I had more colours to play with, but by the time I got to the lot, it was late and pretty deserted. I haven’t played with an external flash in full manual mode for a while…I’ll need to eventually pull out my Pentax AF540 FGZ flash to try it out one of these days. My take on Kodak’s Gold 200? 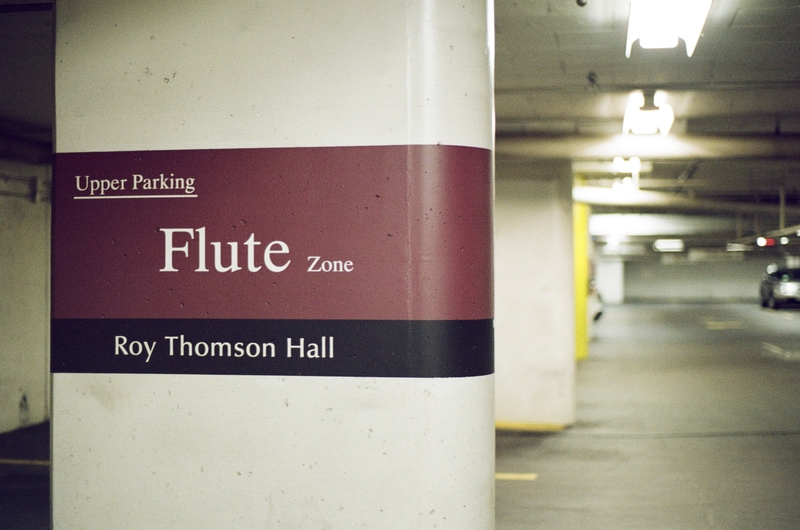 Yeah, it’s alright and, yes, as mentioned earlier in this post, I’ve been spoiled by the Ektar. But this is a pretty nice all-rounder. Also, a 3-pack of this Kodak stuff is ever so slightly cheaper than the equivalent Fujifilm. I’ll need to take some Fujifilm 200 for a spin to provide a counterpoint, to see if I’m still a fan, and maybe try a roll of Agfa as well to see what is available to the masses. A few more photos from the Gold 200 are below. All photos are clickable to view at 6 megapixel. Enjoy, and feel free to leave comments! 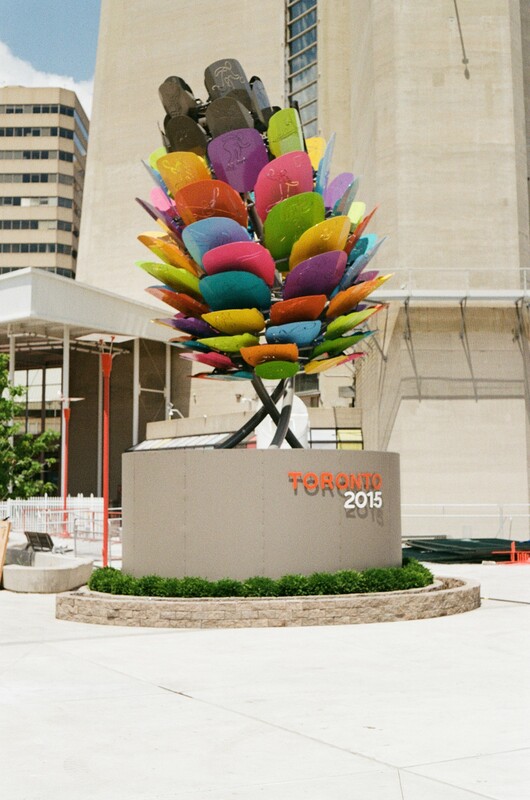 The Flame for the Pan Am Games, found at the base of the CN Tower, is ready to be lit. It seems that I shot this OOF, but I’m posting it here so you can see the colours. 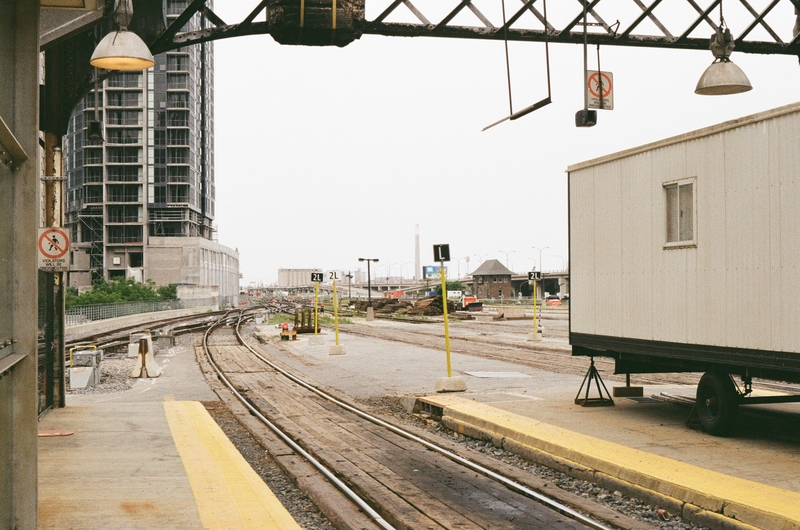 Touring Toronto’s Roundhouse Park…a bit of a stretch for me to get to during lunch, but not as far as Harborfront. Looking East from the end of Platform 5(?) 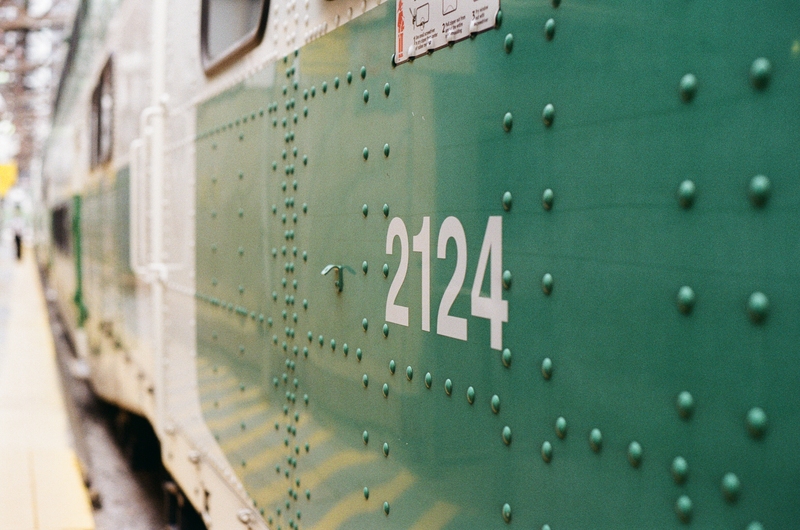 at Union Station, Toronto.